In 2015 JROS decided to organise a UKCC Level 2 coaching course. 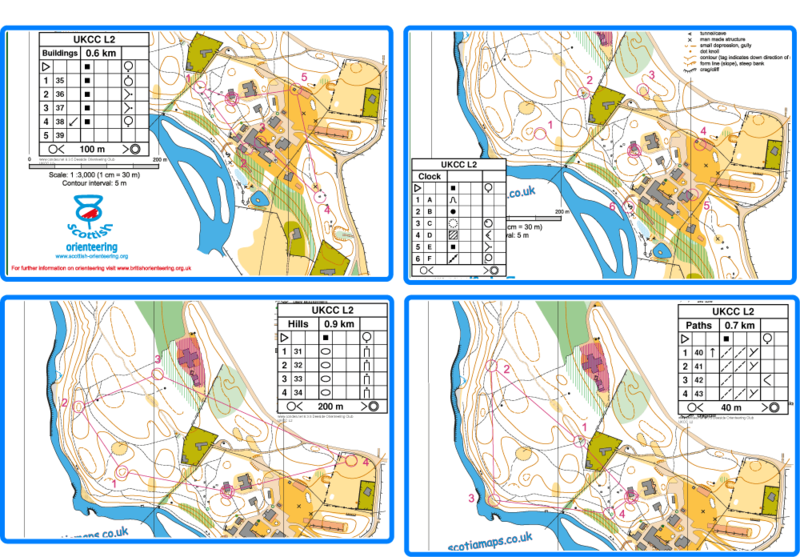 It had become clear that younger orienteers , many of whom volunteered to coach on the various JROS camps, were finding it difficult to fit in a formal coaching course whilst they were completing their studies. It was decided to organise a course for them at the Lagganlia OEC prior to this year’s Lagganlia training camp. We used Ptarmigan Lodge and 2 camping pods. Ptarmigan Lodge was also used for delivery, the central community space was just big enough for presentations, group activities and planning. Catering was done on a group self-help basis. Kitchen was adequate for the numbers. Participants either travelled independently or came by train and were picked up at Aviemore station. Iain dealt with all the BO and First for Sport registration. He also dealt with the RPL requirements and the marking of the pre-course tasks. Delivery of taught sessions was by Iain with Tony assisting as required. Observation and assessment of practical tasks and the completing of files/action plans was shared between Iain and Tony. All equipment was supplied by Iain and Tony. OCAD files were available for local areas and exercise maps and paperwork were printed using inkjet printers. The grounds of Lagganlia and near-by Inshriach proved ideal for the course. They allowed for a wide range of technical difficulty scenarios to be used during the course and being so close little time was lost in travelling. Being a residential course there was plenty of time to deliver the course content and interact with the participants. The only time it felt tight was fitting in the 8 scenario practical sessions with their feedback and form filling. With both Iain and Tony able to assess the sessions it gave flexibility to ensure that all participants had quality time for the evaluation and debrief. Lagganlia: Chris, Julie, Matt, Nick, Phil and Zoe coached all week. Tamsin stayed on to coach on Sunday before joining friends. Deeside: Zoe coached all week. Stockholm: Tamsin joined Nick’s team for the duration of the tour. This post course opportunity was much appreciated by the athletes as it gave them time to put into practice what they had covered on the course and the chance to work with other coaches to extend their experience. The course was a definite success and depending on demand we should look at repeating it in the future so that we are encouraging a growing group of younger coaches who are able to assist and eventually take over key roles within coaching. I’ve always been interested in coaching; from introducing beginners to the sport of orienteering, to exploring thoughts and ideas with athletes at higher levels to help them improve their performance. Before the course, I’d never had any formal instruction on “how to coach”, just used past personal experience; so I was excited to see what was involved and how it could be applied in practise. The level 2 course covered technical coaching up to TD5 level, but also aspects of the physical and psychological side of the sport which can often be neglected. We also examined the interpersonal communication skills required for successful coaching. The organisation and delivery of the course by Tony and Iain was superb – informative and engaging; the enthusiasm of all the participants made the tasks always a lot of fun. Being situated at Lagganlia outdoor centre was ideal, as we could easily implement the practise sessions and test ideas in the beautiful forests on the doorstep. It was also great that the majority of the participants stayed on to help coach at the Lagganlia coaching camp the following week, as this meant we could put the fresh learning into action. I felt that I learnt a lot from the course and very much look forward to coaching in the future, both with my club and with JROS tours. Many thanks to those who made it happen, especially Tony and Iain, and JROS for subsidising the cost of the course. An enjoyable few days at Lagganlia was spent on the JROS UKCC L2 coaching course. The course was expertly led by Iain Embrey meaning that it was not only informative, but great fun too, helped by an excellent friendly dynamic between all. There was plenty of opportunities to put the theory into practice, using the great terrain just on the doorstep and some really innovative exercises were seen. Of course, we were well looked after by Tony, and the food was to top quality standards (and plenty of it too!) We even managed to finish early and spent the last day having fun, with long run, swimming & barbeque all on the to-do list – a great way to end the course! Highlights have to be the assessed coaching sessions with everyone really getting into character for the scenarios given, especially when we were role-playing a group of Russian Bankers…! Thanks to all who organised and supported the course.